if your garage door opener is making noises bot the door is not opening it could be your gear no need changing all the opener, garage door openers can be repaired. Our technician recently saved a customer money by fixing the stripped out gear in her opener. The customer had booked the service call to install a new opener, but the technician’s safety inspection revealed that she needed a new gear, not a new opener. 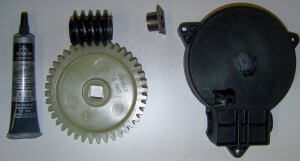 Stripped gears are usually a sign that something else is going on with the door. 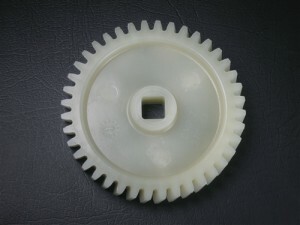 Gears can wear out, but additional stress on the door causes the opener to work harder. In this case our technician found that the door was off balance, one side was physically heavier than the other. The cause, a worn out garage door extension spring.